QR Codes are basically two dimensional bar codes invented in Japan by Denso Wave. They can store several dozen to a few hundred times more information than ordinary bar codes. QR code can handle numbers, alphabetic characters, Kanji, Hiragana, symbols, binary, and control codes. Up to 7,089 characters can be stored in one symbol. Error correction can be used to restore partially damaged QR Codes and they are readable from any direction. QR Code Reader Equipped cellphones can “read” the code from a photograph taken by the cell phone. You just take a picture of it and your cell phone acquires the content of the QR Code symbol, and it takes action based on that content. They are frequently used to acquire URLs (take of photo of a QR Code and your cell phone immediately displays the web site of what you are looking at), email addresses, business cards, etc. 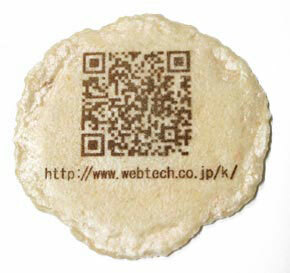 Some virtual pets in Japan eat “real” food that you scan the QR codes from. Among them are Sodatete Bebi Q, a mobile phone virtual pet game that raises a character called “Puchi Q” (see Sodatete Press Release 13 July 2006) and Trident a mobile virtual pet from Preamble Corp (see Trident web site) . The Trident pet battles other similar pets and fights according to how well it eats. QR codes can be printed on almost anything: products, magazines, newspapers, flyers, billboards, business cards, instruction sheets, clothing, the sidewalk, we even seen examples of them online printed directly onto peanuts, shrimp crackers (see image below) , and a pretty girl’s back at a trade show booth (see image below). You take a picture of them with your cell phone and it immediately jumps to the company’s web site or displays other information imbedded in the QR code. We see many opportunities to tie mobile virtual pets to products, places, foods, magazines, books, and other activities. The whole field could explode as internet phones become more widely available in the U.S..
Promoters could even set up something similar to GPS Art / GPS Drawing. They could use a map to setup the outline of a virtual pet in a city (physical locations to drive/walk around as if driving/walking around the outline of the pet), then mark several locations around the perimeter with oversize QR Codes (like the east wall of some store, the sidewalk in a park, the floor in a mall, a billboard, etc). Users could download a map with the sequence list of those locations, go around the marked locations taking photos of the QR Codes, and at the end they could “see” a photo of the outline of the virtual pet drawn on their community similar to GPS art. Once they completed the outline they could be given a download of that pet, a prize, a chance at a prize, etc. These sound like great tie ins to local radio stations. Basically they are drawing a sketch of a virtual pet out during their path around the city (or even more locally if the entire outline was within a mall or even within a classroom). In real life, since GPS is not included in the system, promoters could even fib a bit about exact placement of the markers and still place them correctly on the map to draw out the character. Or they could say to heck with it, and just have you go to a half dozen locations wherever they want to “earn” the pet or to “feed” it. They could even make users search a bit for the slightly hidden marked locations (sort of like geocaching). Countless other opportunities exist. For instance schools and universities could draw out their campus mascot by placement of QR codes around the campus. Students could acquire the mascot as a pet in their cell phone by taking pictures of the QR codes in sequence as they walk around the campus. Businesses on campus might even pay money to host a QR Code in their place of business to draw in traffic. The university could encourage students to feed their mascot by taking pictures of QR codes in the daily campus newsppaper, codes at the football stadium, codes setup for special events, etc. Special drives / promotions before major university sporting events could increase the strength of their mascot in anticipation of the big game, etc. Facebook recently began allowing 3rd party applications to be used there. Campus mascot virtual pets could now reside on your own Facebook page (and be rapidly adopted by others as they begin to participate). The virtual pet’s outline in town could also be a a poor man’s GPS (if they had a cellphone). Just take a picture of one of the QR Code locations around town and your phone could show you where you are on a map AND tell you where to buy cool stuff nearby at advertisers paying for being embedded in the game. And QR Code is not just for mobile virtual pets. You could email your photo of a QR Code to your computer, then all the possibilities of mobile phone virtual pets using QR Codes are now possible on your computer (except you computer has a lot more computing power and higher resolution making them even more exciting). It could also be extended to plush pets with online communities (like Webkins). If you go to certain locations (advertisers, public displays, etc) and take a photo of the QR Code there you could gain additional abilities, virtual money, toys, etc in the online virtual pet community game. Several pet food companies already have virtual pet games. Why not have users take a photo of or scan in a QR Code on the actual pet food packaging? Its gets them interacting with your “real” products. A few “real” pets are now carrying QR Code on their collars as the owners contact information. Back in 2004, Pringles was printing trivia questions on potato chips. 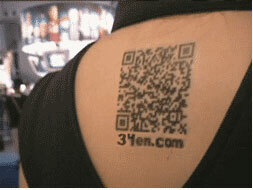 You could even put QR Codes on your own MySpace / Facebooks sites, Second Life, etc. The possibilities of places to print QR Codes are endless. The bottom line is QR Codes offer many untapped opportunities for virtual pet designers. 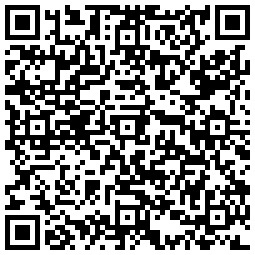 You can learn more about QR Codes from Wikipedia and Denso Wave . If you are interested applying GPS Art / GPS Drawing concepts in virtual pets, the GPS Drawing Gallery has several examples of drawing animals through out the world. The Brighton Elephant in the U.K. is a great example. If you designing an elephant virtual pet in the U.K. you could just pickup their map and place some QR Codes around the perimeter and be up and running in a hurry.